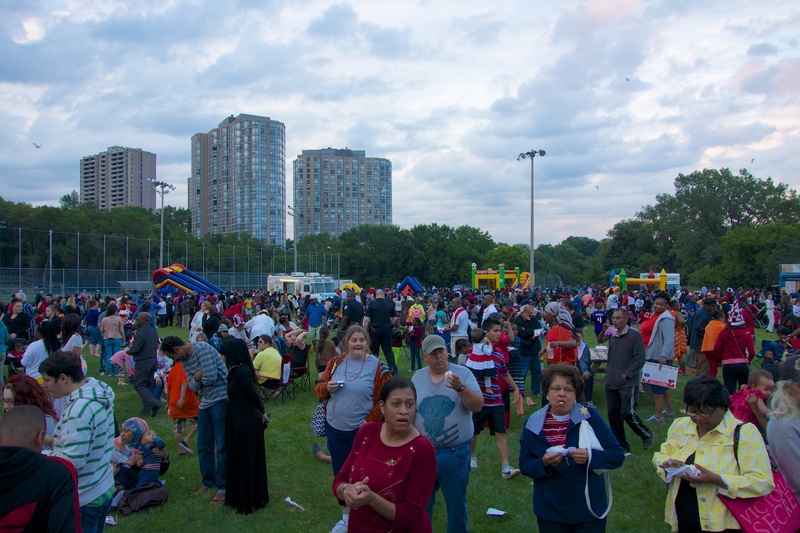 On July 1st, the old fairgrounds in Lions Park once again echoed to the sounds of music and fireworks thanks to Canada Day celebrations that are becoming a firm tradition. 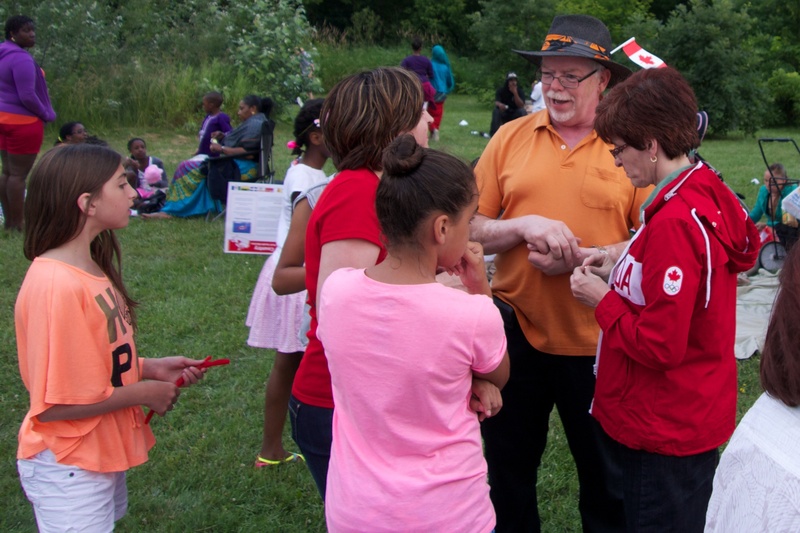 Even though the event is not announced in the list of Canada Day happenings, posters around the site, word of mouth and a variety of newsletters and emails seem to get the word out. Throughout the day, vendors set up their stalls and the heady mix of diesel and burgers soon began to waft through the park. 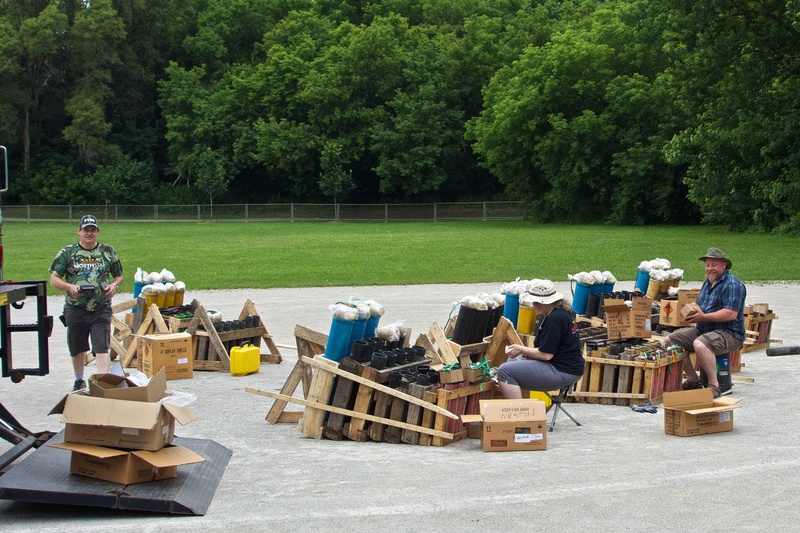 The fireworks crew inside their compound making sure everything goes off with a bang. Frontlines staff and volunteers prepare their stall. MP Mike Sullivan talks to constituents. Crowds enjoying Canada Day cake and other distractions in the early evening. 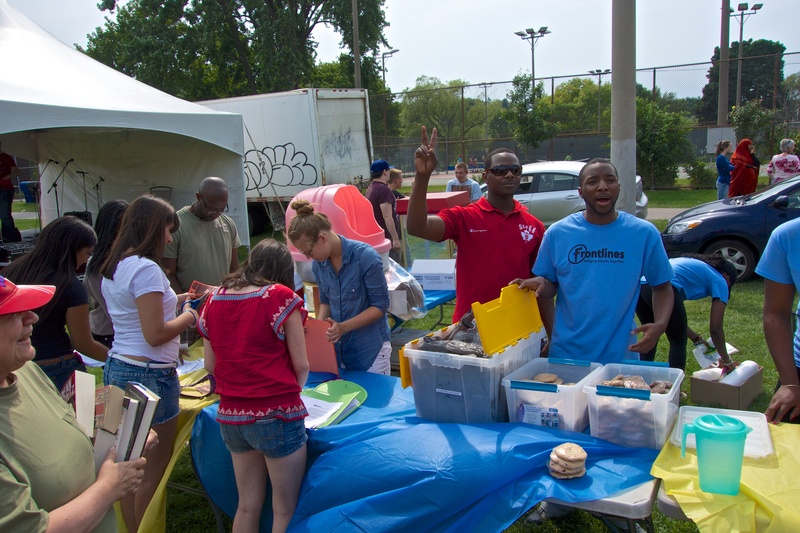 The day was cloudy but mild and many families made a day of it, bringing chairs and picnic supplies. Politicians made their inevitable speeches while several bands and Elvis serenaded the crowd throughout the evening. At 10 pm, the fireworks display began and did not disappoint. They were spectacular, lasting a good length of time and with a variety of flashes, bursts and window-rattling bangs enjoyed by residents on both sides of the Humber. The crowd drifted home happy, no doubt looking forward to another one next year.